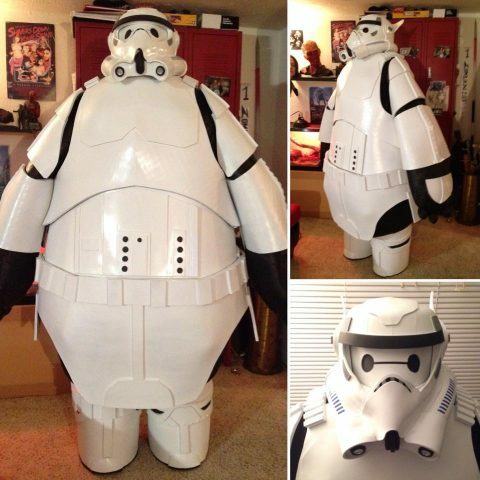 Baymax Stormtrooper Mashup Cosplay « Adafruit Industries – Makers, hackers, artists, designers and engineers! Sometimes artists come up with creative mash-ups you haven’t seen before. Brian Kesinger does that frequently. 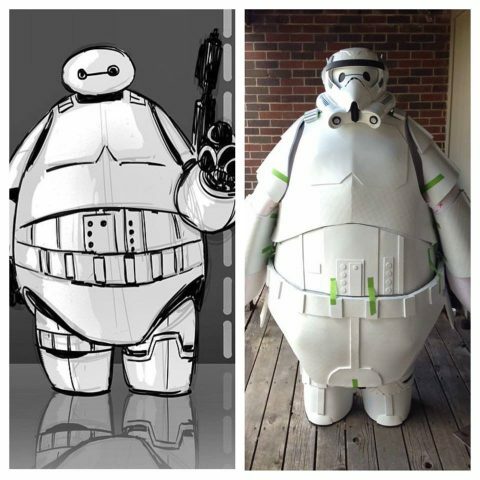 In the not too distant past, he combined Baymax from Big Hero 6 and a stormtrooper from Star Wars. It’s as adorable as it sounds (you can see his illustration below) and so is this costume by Benito Garcia of Wetworks SFX Studios. Garcia made the cosplay for O Comic Con, happening in July in Iowa. Given the roundness of Baymax, the stormtrooper armor pieces had to made in a different shape than usual and then there’s the custom helmet–I like the way it mimics Baymax’s hero armor. Keep up with Wetworks SFX Studios’ latest on Facebook.